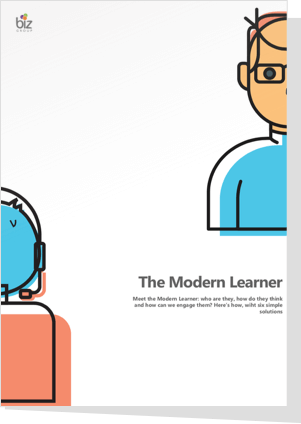 Download The Modern Learner white paper to understand who the Modern Learner is, how they think and how can we engage them. We live in a digital era and the way we learn, whether driven by growing customer demands or our dynamic business environment is undeniably changing. For learning and development professionals responsible for corporate training, capturing the time and attention of today's Modern Learner is challenging. This whitepaper gives you insight into who the Modern Learner is and how you can keep them engaged and support their professional growth through corporate training.